The Montecristo No.5 is a true small jewel medium to full Habano, of Perla format, of 40 ring gauge, 4" (102mm) long and comes in a box of 25 cigars. 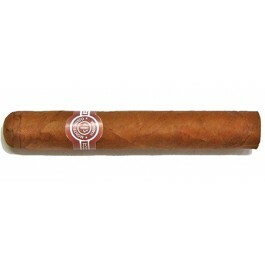 Habanos managed to pack all the typical Montecristo flavors in a perfectly constructed short cigar, which taste is reminiscent of those of its bigger brothers. The taste of this little one is almost like his bigger brothers. •	Full of flavor and very spicy yet creamy. •	It also has a very earthy taste. It is a heavy cigar but never becomes unpleasant. The trick is to smoke it slowly. Then it doesn’t get hot and you can enjoy this stick for about an hour. Excellent construction, with a sheen to the wrapper. Even bunch at the foot. Aroma of sweet tobacco with a hint of barnyard and some cocoa. Perfect burn and a nice comfortable draw. Sweet with some light spice. Some cream seeps in there at the end of the first third. The light spice fades in and out but there is now some coffee and cocoa and more cream. The spice picks back up again with some leather and toast. Still creamy with a bit of musk. The musk is most pleasant. In summary, an excellent smoke when smoked very slowly.